The second largest auto insurer in the US, GEICO provides coverage for 24 million vehicles owned by 15 million policyholders. Based in Chevy Chase, Maryland, the American auto insurance company has been in the industry since 1936. 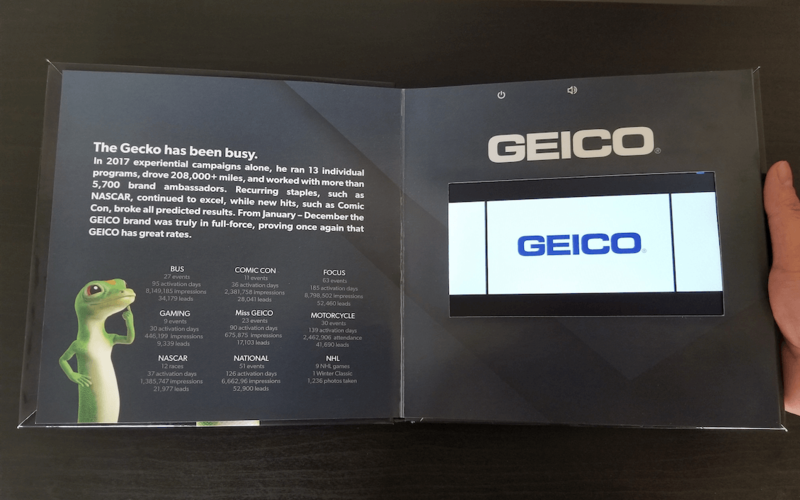 Using bigDAWGS’ Video Book, GEICO showcases the different events hosted by The Gecko for the entire year. He ran 13 individual programs, drove 208,000+ miles, and worked with more than 5,700 brand ambassadors. Visit geico.com and get an auto insurance quote now!